The Nordic Nightmare, heavyweight Robert Helenius (23-1-0) will fight again in December in Helsinki against an opponent to be named, writes Juhani Gronberg at knock-out.dk. A rematch vs Dereck Chisora is one possibility but, again according to Gronberg, many experts feel Helenius needs another tuneup before going after the big boys. Robert lost to Johan Duhaupas in April then returned September 10 and knocked out Konstantin Airich 49 seconds into the first round. Robert is now managed by Markos Sundman while Johan Lundstrom remains as trainer. 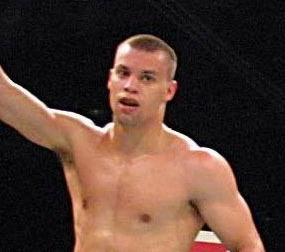 Former EBU-EU lightheavy champion Giovanni Alvarez has passed away in Italy at the age of 36, reports Alex Herrman at knock-out.dk.. Alvarez was raised in Sweden by an Italian-Swedish family and was big talent, 3-time Swedish champion as an amateur, and then turned pro in 2000 with Team Palle in Denmark. The talent was there for all to see but when the going got tough it became that Giovanni didn´t have toughness of his older brother Frederic. Giovanni did beat Paolo Ferrara to win the EU title but then lost to Elvis Michalenko in an upset and was knocked out by Lolenga Mock. Alvarez tried to come back in 2007 but lost again and retired with a record of 15-3. He was at the time of his death living in Italy. French flyweight Thomas Masson has relinquished the EBU flyweight title. He was due to defend the title November 10 against official challenger and former EBU champ Valery Yanchy. Yanchy remains as OC but will fight rising star Vincent Legrand for the vacant title November 12 in Boulougn-sur-Mer (France). Both date and site were reserved of Masson vs Yanchy.